﻿For years, sellers of homes in The Legends Golf Plantation were having a tough time selling. I am happy to report that the tide has turned and the sales activity has picked up in the Legends. We have recently sold homes, condos and vacant land in the Legends community. Sago Plantation is still a slow seller, yet the Parkland community has become very popular. According the the Myrtle Beach MLS, more homes in The Legends have sold this year then all of last year. That is a good sign for this quality community near Carolina Forest. The Myrtle Beach real estate market is lucky to have so many great golf communities like this. If you are considering the sale of a home here, then now is a great timeto sell as well. We have Realtors in our office who live in the Legends so let us know if you need any help. Visit our website for Legends Myrtle Beach homes for sale, or see the page on our main C21 site for the Turnberry Condos. 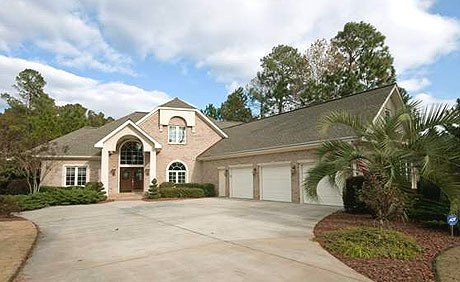 Greg Harrelson is your Myrtle Beach Real Estate Resource.